Atlanta-based rapper Lil Yachty is set to headline Dooley’s Ball on April 14 at McDonough Field, Emory’s Student Programming Council (SPC) announced today. The self-described “bubblegum trap” artist is best known for two 2016 hits that he is featured on: “Broccoli” with DRAM and “iSpy” with Kyle, which hit No. 5 and 4 on the U.S. Billboard Hot 100, respectively. The 20-year-old rapper’s 2016 debut solo album, “Teenage Emotions,” peaked at No. 5 on the U.S. Billboard Hot 100 Album Chart while his March 9 follow up “Lil Boat 2” bowed in at No. 2. SPC Band Party Co-Chair Blake Mars (18C) said that SPC wanted to find another hip-hop performer after the success of the Fall 2017 Homecoming concert, which featured rapper Post Malone. The group began to search for a headlining artist in December 2017 and began targeting Lil Yachty around mid-January 2018. The decision to have one artist instead of two is dictated by budget and is “out of the control” of SPC members, according to Mars. “We did research and knew [Lil Yachty] would be dropping an album soon so it gave students time to get familiar with the music before the concert,” Mars said. Lil Yachty’s contract was confirmed over spring break, according to SPC President Tamara Ezzat (18B). Mars declined to state the cost of the concert, which is funded with Student Government Association (SGA) money. Despite the Fall 2017 Homecoming Concert reaching the field capacity of 4,500 people, SPC determined it was “not possible” to change the capacity of McDonough Field after meeting with fire and safety representatives Ezzat said. Mars added that SPC is working on updating and simplifying the guest registration and waitlist process, with more details to come soon. A statement outlining “new initiatives and processes” to be implemented for the concert will be released to the public in upcoming weeks, according to Ezzat, but was not available as of publication time. A “small portion” of tickets will be alloted to graduate students based on “historical statistics on graduate student attendance,” according to Ezzat. Graduate students are now required to pay for concerts due to the GSGA/SGA split in 2017. At the Fall 2017 Homecoming Concert, SPC allotted 100 tickets to graduate students. Lil Yachty is the latest in a string of Dooley’s Ball hip-hop headliners in recent years including Ty Dolla Sign in 2017, DJ Khaled with the Chainsmokers in 2016 and J. Cole with the Knocks in 2015. Dooley’s Week will take place April 9-15. Doors for the concert will open at 8 p.m., according to Mars. SPC announced this year’s theme, “Dooleypalooza,” at Wonderful Wednesday March 21. The headlining comedian is still to be announced. 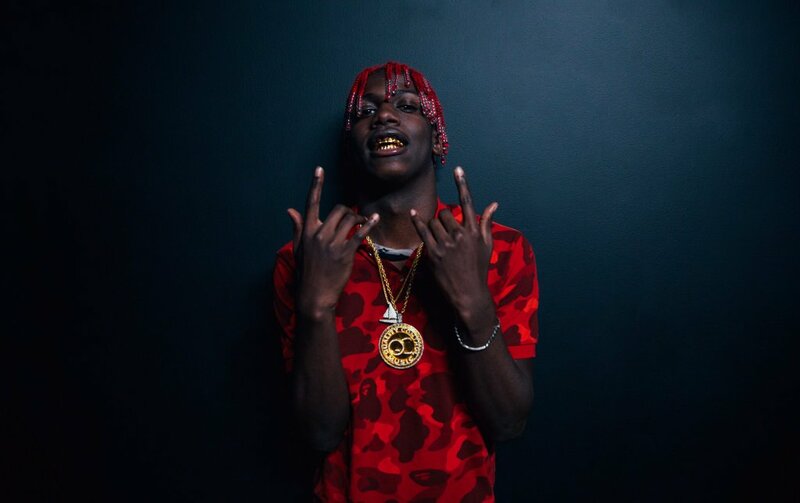 Lil Yachty also confirmed he is working on an upcoming mixtape with labelmate and Migos member, Takeoff. Migos was set to headline Dooley’s Week last spring until SPC announced it had fallen victim to a $37,500 scam by a fraudulent third-party booking agency. Octaveon Woods was charged Feb. 6 with five counts of wire fraud and six counts of money laundering for intentionally defrauding several universities and other entities, including Emory.